3 ‘s a charm! This was my third year attending SXSW and I really felt like I got the hang of it! I attended more sessions and events than ever before, yet felt like I had more time on my hands to do all the things I wanted to do. I was a lot better at planning my schedule each day and I also learned about the term FOMO (fear of missing out) at SXSW. You over book yourself and don’t enjoy the session, meetup or event you’re currently at because you fear that you’re missing out on something bigger and better. 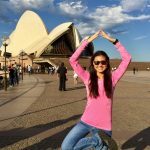 I was able to let go of FOMO which significantly enhanced my positive experience this year. Just like previous years (SXSW 2012 recap here and my top 10 at SXSW 2013 here), there was so much to learn and experience at SXSW that I decided to once again share my top 10 favorite things about SXSW 2014. 1. 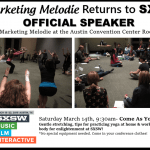 SXSW Yoga and Meditation– I was grateful and honored to be invited back as a speaker and teacher for SXSW Yoga and SXSW Meditation. 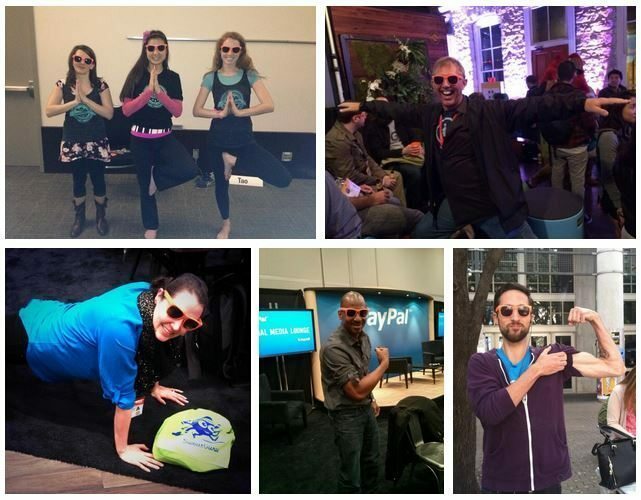 Any opportunity I get to teach yoga and meditation to fellow tech-crazed and social media savvy attendees is a blessing. It was great to be surrounded by so many like minded people in the technology space and even better to create a deeper connection with them by teaching them something I love. I taught yoga poses that can easily be done during breaks at work so busy professionals know how to incorporate yoga into their daily lives. I also taught various meditation techniques so people could find a style that fits their needs. 2. 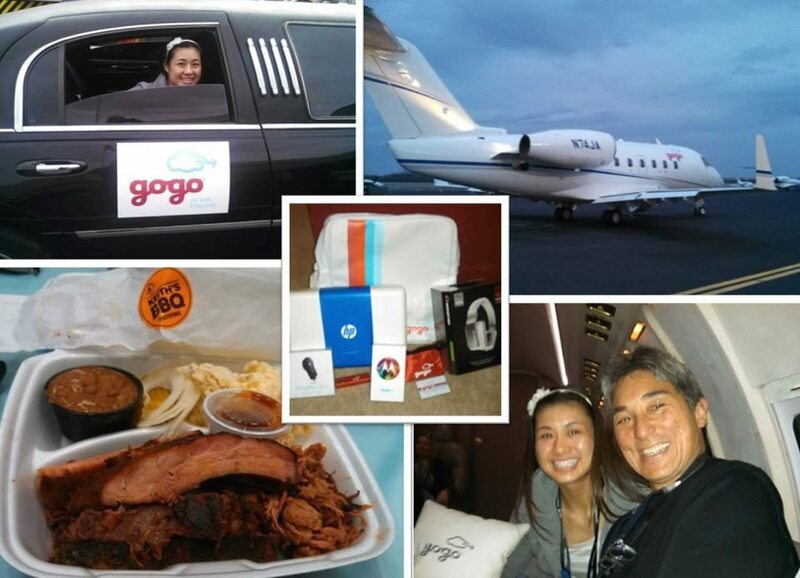 Gogo’s BBQ on a Private Jet– When Gogo announced they’d be taking SXSW by storm to host an exclusive BBQ on their private jet, I knew I needed to snag an invite. I used the power of social media to Tweet and Facebook them and being the lucky girl that I am, I got in! They surprised me by picking me up in my very own stretch limo. When I arrived, they had Keith’s BBQ waiting for me, then we were escorted out to take flight on their private jet. While up in the air, we learned about their latest technology that allows you to share your exact location, connect to the internet and text in the air. Gogo helps you stay productive while traveling. They understands that just because you’re traveling doesn’t mean that the world stops working. When our flight landed, I was presented with the most generous swag bag that came in the cutest airline messenger bag. My gifts included a brand new Moto X phone installed with the lastest Gogo apps, Monster headphones with a noise cancelling feature that will come in handy for long flights, and a Chromebook so I can easily stay connected when traveling. This event was so wonderful that I can’t thank Gogo enough. I will absolutely be connecting to Gogo on my next flight. The photos and video speak for themselves. 3. 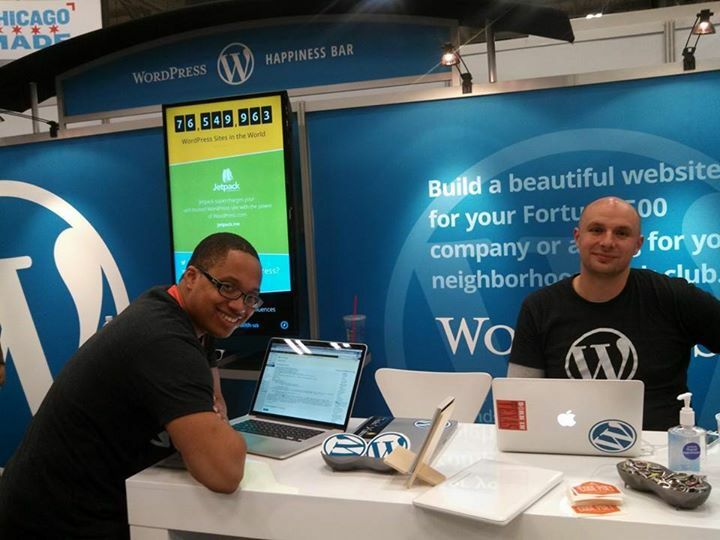 WordPress Happiness Bar– The WordPress Happiness bar in the trade show makes me happy every year and this year they’ve done it again! Their experts were on hand and helped me fix several issues I had been experiencing on my WordPress site. Thank you again WordPress! I look forward to your booth every year and will continue rockin’ your t-shirt! 4. Mark Cuban- I am a huge Mark Cuban fan. I attended the One on One interview with him and left so inspired. He encouraged us to look at every job as an opportunity where you get paid to learn. Having this mindset has already helped me be more positive about my career and jobs I accept for my business. I love his entrepreneurial spirit, his strong opinions on Shark and of course his enthusiasm as owner of the Dallas Mavericks. (Since I have no home team for basketball here in San Diego, I cheer for the Mavericks). Mark Cuban is definitely interested in sharing advice to help other entrepreneurs succeed. 5. DIY- The New Culinary Movement– For the first time ever, SXSW Interactive had a food track for their sessions. This only makes sense since technology is becoming more and more prevalent in the culinary world. 3D Food printing was all the rage this year. Oreo even had a 3D Oreo printing station set up that had people waiting well over an hour to customize and print their own oreo. 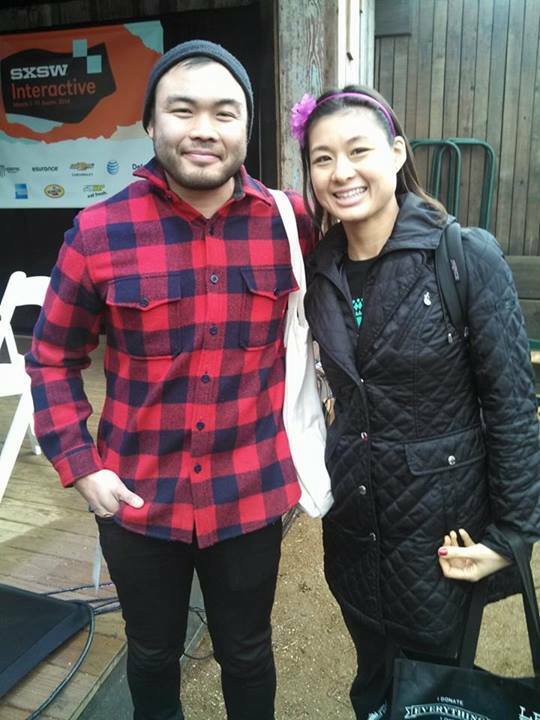 I attended a great panel called DIY- The New Culinary Movement featuring Top Chef Paul Qui! 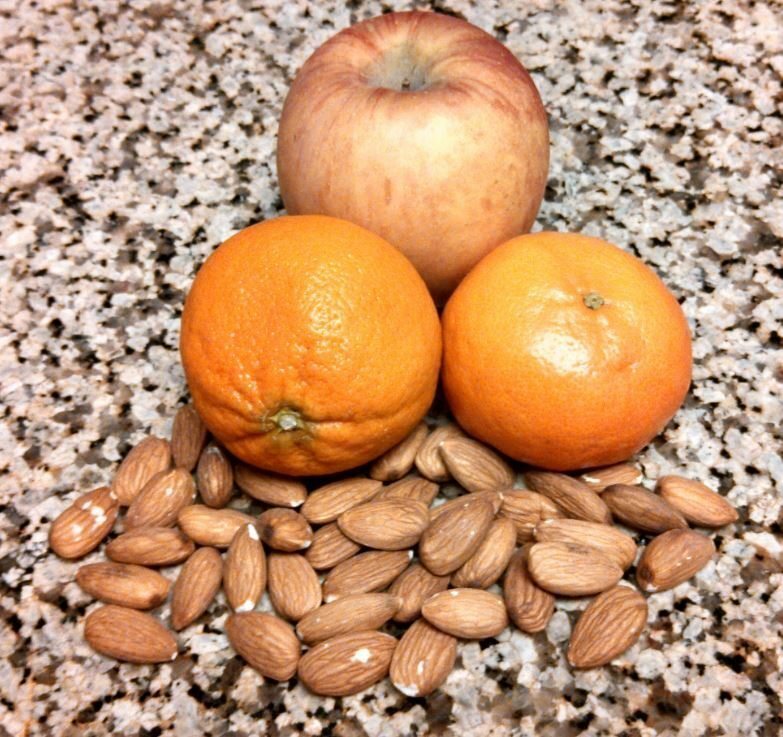 Cooking, baking and creating healthy recipes is one of my favorite past times. Since I spend so much of my spare time with DIY culinary projects, it was great learning from experts in this industry how the DIY food movement is growing. 6. Cronuts after Midnight– I’ve heard a lot of hype about Cronuts but have never actually seen one in real life. Well SXSW and Alison and Partners made this possible at their Cronuts at Midnight party. I met the creator, Dominique Ansel who also created the chocolate chip cookie milk shot glass. I had fun talking tech while enjoying some unique sweet treats. This event was also another nod to the culinary movement in the tech scene. Combining my favorite things (culinary arts + technology) always makes me happy. 7. Yahoo!, Upright Citizens Brigade and Jeffrey Tambor– SXSW Interactive combines education and entertainment seamlessly! They brought back more SXSW Comdey acts this year and thanks to Yahoo! 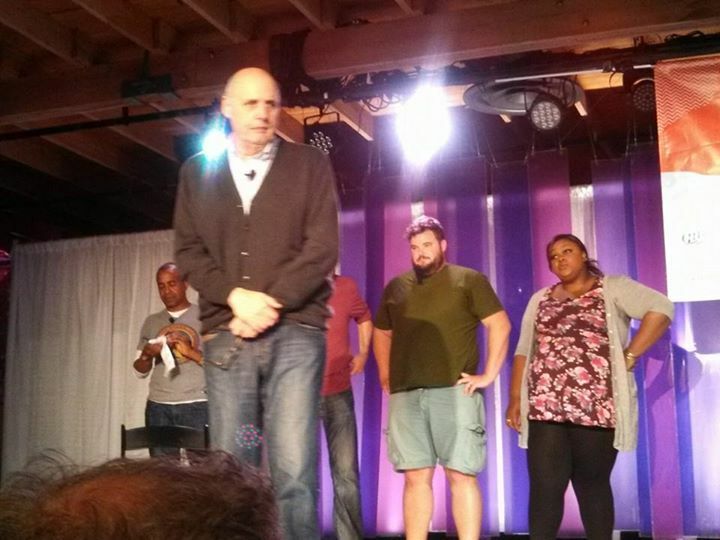 I watched an epic performance by Upright Citizens Brigade, featuring the hilarious Jeffrey Tambor. I love his character(s) in Arrested Development. Watching him live was just as entertaining. Improv acting is so intriguing to me. I’ve taken improv classes myself and shared the benefits of improv with 10 reasons taking an improv class will make you happy. I always learn new ideas and strategies for thinking on my feet while speaking when I watch an improv show. Having improvisational skills is a must especially since I want to continue growing my speaking business. 8. Wearables- Wearables were the the talk of town! One of my favorite parts of SXSW was being able to gift FitBits to 2 lucky winners. I partnered up with my friends at SweatGuru to make this possible. 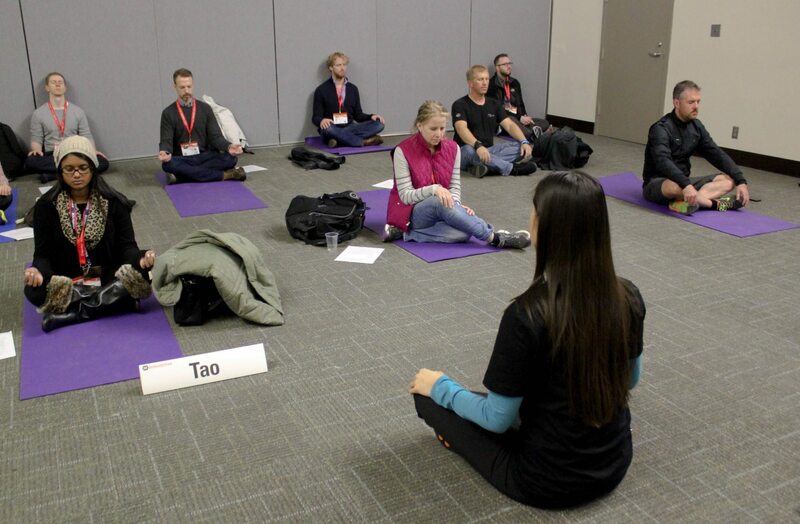 I first shared ways to stay Fit at SXSW. Then at the actual event, I gathered fitness data by asking attendees to complete a quick fitness survey and also encouraged everyone to post a photo of themselves staying Fit at SXSW. 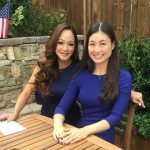 I had a lot of fun connecting with other SXSW attendees who enjoy health and fitness. 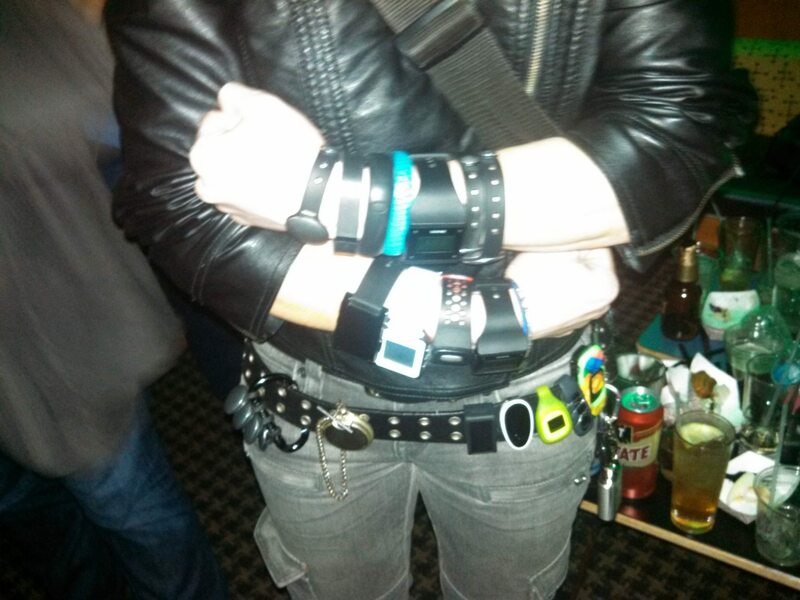 I met a lady who wears 20 different devices and Shaq’s presentation “Wearables and Beyond” was entertaining. He shared how his FitBit has helped him stay healthy since retiring as a professional athlete. 9. SXSW Film- When SXSW Interactive ended, I stayed an extra day to enjoy SXSW film and I’m so glad I did! The first screening I attended was a series of 6 short films chosen by the Vimeo staff. Each film was different but what I enjoyed most is that after all the films were played, they replayed each one but brought in the director and actors to provide commentary over the film. It was interesting to get another perspective on each scene as it was happening from the people who created the film. The other film I had he pleasure of enjoying is called Butterfly Girl. This film was so inspirational! It’s a documentary about Abbie Evans, who lives with a rare skin disease, Epidermolysis Bullosa. The film documents her strength, courage and positive attitude. Being that I personally suffer from a skin disease, Eczema I felt a connection to her and the movie really touched my heart. Unfortunately Abbie Evans died a few months prior to the screening but her Dad who is featured in the film both as an actor and musician was there to answer questions. I highly recommend this film! 10. 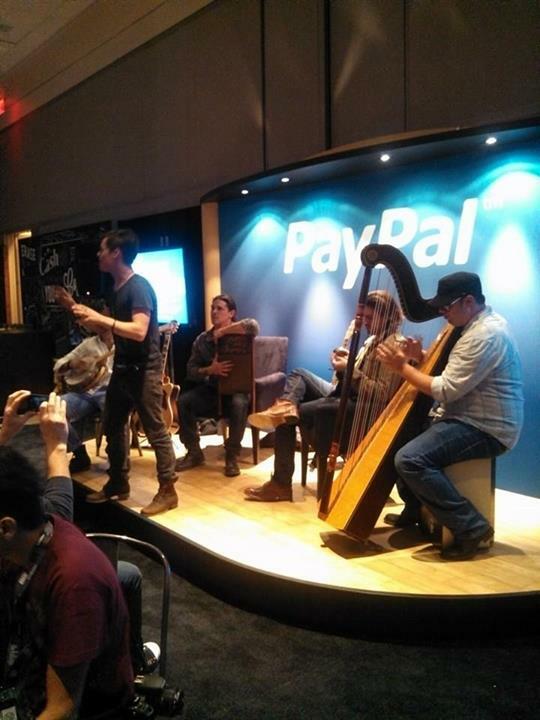 PayPal Blogger Lounge and Hudson Band– I really appreciated the blogger lounge hosted by PayPal. They provided a relaxing area for people to take a break from the SXSW Interactive bustle. They had water, snacks, charging stations and even fun entertainment on their stage that featured successful technology professionals and musicians. SXSW Music is one of the largest music festivals in the world so it’s only natural that I’ll discover a new awesome band. The band Hudson is my favorite SXSW Music discovery this year. They have a unique, fresh, modern rock n roll sound. My best part of their band is the harpist! Yep, a member of the band busted out a harp for one of the songs. I play the harp myself and since it’s such a rare instrument, I loved seeing it incorporated into a rock n roll band. As an added bonus, I had a chance to take a yoga class at Black Swan Yoga. I loved the vibe of this donation based studio. Well it’s been another amazing SXSW. I connected with so many awesome people from all walks of life, learned a lot about new technology, added fun experiences to my memories and enjoyed delicious Texas BBQ. Thanks to every single person who made my experience wonderful!